If you ditch an Android phone for an iPhone, or you have an iPod or iPad, you might want to transfer music from Android phones to iPhone, iPod or iPad. It’s really happy to tell you that iMusic lets you finish the process without a hitch. Install iMusic on your computer and run it. 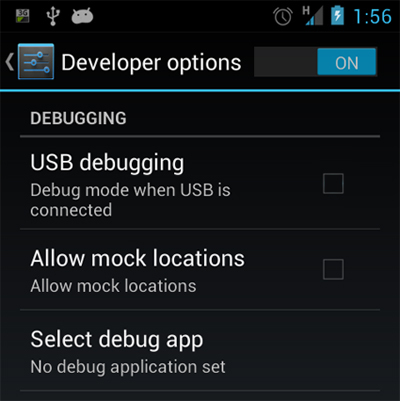 After then connect your Android phone with the computer via a USB cable. At the same time, use another USB cable to connect your iPhone, iPod or iPad with the computer too. Both the connected device will appear under the “DEVICE” menu. If the Android phone doesn’t appear in iMusic window, you need to enable the “USB Debugging” in “Settings” option on the Android phone. 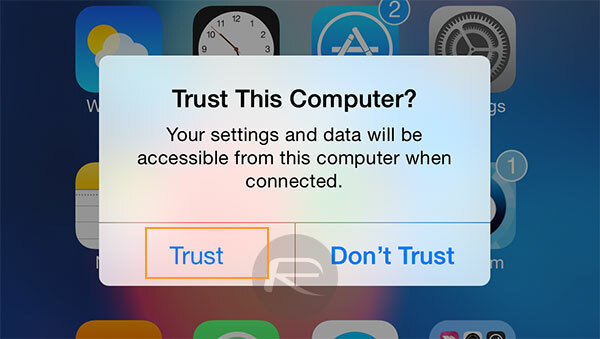 If the Apple device you have connected doesn’t appear too, you must tap the “Trust This Computer” to let the software recognize your device. Click “DEVICE”. One device will be displayed in the window by default. In the left side of the window, you must click the device icon to display the Android phone. After then you have 2 options to transfer music from the Android phone to the connected iPhone, iPod or iPad. Option 1. 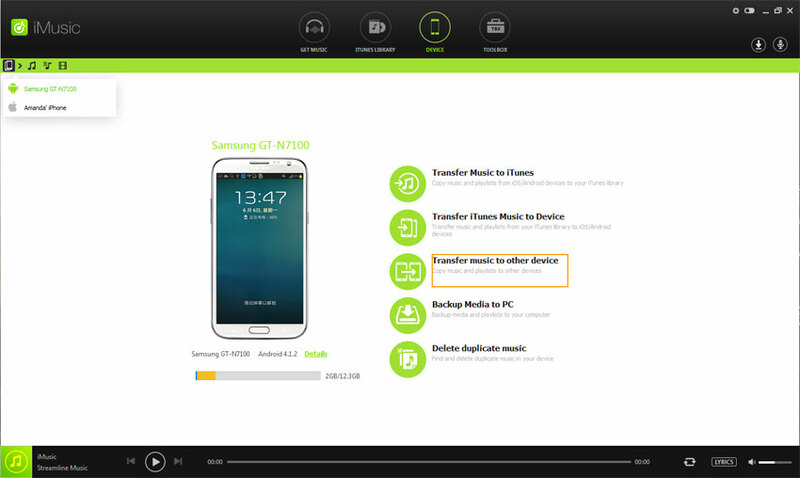 Transfer all music from Android to iPhone/iPod/iPad: click the “Copy Music to Other Device” > choose the connected Apple device. The prompt will appear, telling you how it goes on with the transferring process. Option 2. Transfer selected songs from Android to iPhone/iPod/iPad: click the music icon followed the device icon in the left side to show all songs on the Android device. After then, you can either click the export icon on the right side > choose your device name to transfer the songs. You can also right-click on the window > choose “Export to” > click the connected Apple device name.